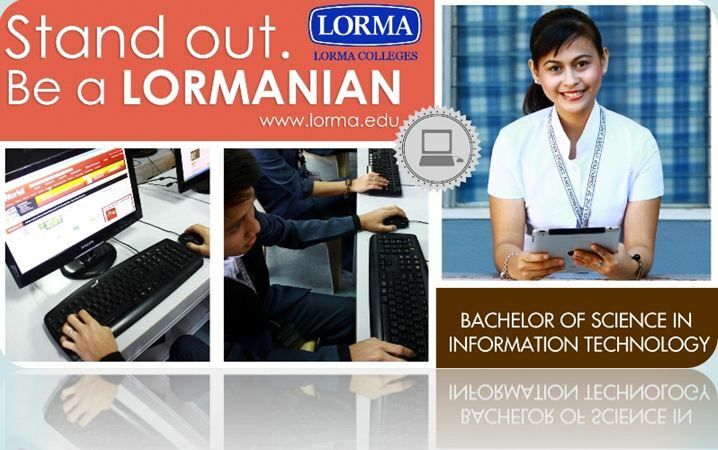 To be the Center of Excellence in Information Technology Education. It is our obligation to be an academic institution that is innovative and skilled in creating, acquiring and transferring values, competence, knowledge, skills and proficiency to our students as key to their success in their chosen fields. To equip students with skills and to provide them with experiences necessary to be able to work successfully in today’s sophisticated computing environments. To develop students to become well-rounded and responsible ICT professionals and Computer Engineers with strong moral values. To develop students to apply their acquired skills and experiences in the industry, government, business and academic institutions with devotion to duty. To prepare students to enter graduate school in ICT or a cognate field. The BSCpE Program is a hybrid of Electrical and Electronics and Communication Engineering and Computer Science where subjects are drawn as well as the experiments and projects in laboratory classes. Students take courses in solid-state devices and circuits, microprocessors, switching/logic designs, computer system organization, computer architectures as well as hardware, software and multimedia. 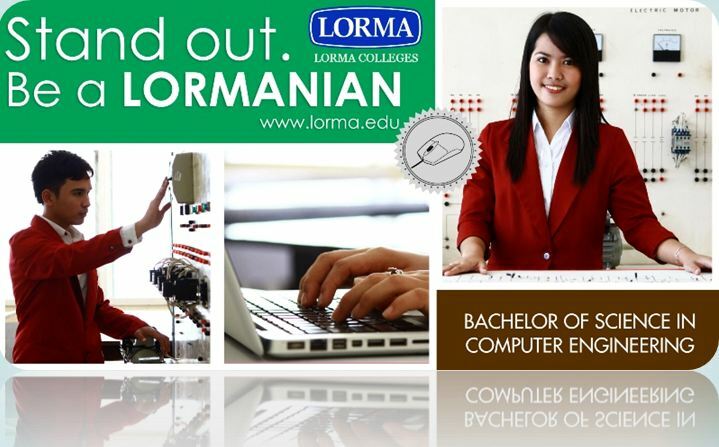 Graduates has knowledge on computer system design with integrated understanding of computer hardware and software. Course Description: A course involving the study of the real number line, algebraic operations and processes of elementary algebraic terms, and also those that involves exponents and radicals, linear equations, quadratic equations, system equations, and its applications, the binomial theorem, factoring fractions, progressions, ratio proportions and variations, the fundamental theorem of algebra, theory of equations, determinants, partial fractions permutations and combinations and complex numbers. Course Description: This covers fundamental concepts of plane trigonometry and of plane analytic geometry. Trig functions, trig identities, solving triangles, analytic geometric proofs, conies, parametric equations. Course Description: Basic engineering, lettering and sketching. Course Description: This course is an introduction of the story of the Bible, the nature and being of God and the power of God’s word in one’s life with emphasis of the life, person and ministry of the Lord Jesus Christ. It also embraces biblical and Christian values that will inspire the students to live uprightly and to achieve excellent and honorable aspirations. Course Description: This course include a wide variety of activities that can be used for physical fitness purposes, providing the students the fundamental understanding the basic body mechanics of gymnastics, stunts and physical fitness exercises. Course Description: This course introduces the individual students in the development of dynamic Christian life and ethics that will gear to a potential and harmonious relationship with his God, his family, his community and his life. Course Description: Basic principles of building layout and planning evaluations, sections and structural details. DESCRIPTIVE TITLE: Politics and Governance with New Const. Course Description: POLIGOV is an introductory course in political science that aims to provide students with systematic overview of the political world, with particular attention on the Philippine experience. It introduces students to the fundamental concepts, theories and methods in the study of politics, and their proper application in the process of political analysis. The course examines the structures, processes and environment that shape contemporary power relations and have a significant bearing on the practice of politics and governance. Through the course, students learn to use analytic frameworks in understanding contemporary issues in politics and governance. Course Description: This subject is intended to prepare students for advanced mathematical operations particularly in the field of engineering. Differential Calculus will focus on functions, limits, derivatives, polynomial curves, differentiation of algebraic, exponential, logarithmic, trigonometric, inverse trigonometric functions, time rates, parametric equation, partial differentiation and other theories that strengthens students mind as a linkage between mathematics and engineering. This subject aims to provide students knowledge on how to prove and evaluate differential functions applying this course. Course Description: This course is designed to provide students with the necessary communicative skills in English. It is also focuses on the different parts of speech and sentence patterns. Furthermore, it includes reading selections as springboard for the teaching and development of grammatical concepts. Course Description: The emphasis of this course is on learning on the fundamentals of the Philippine Folk Dances, Ballroom Dances and other types of dances. Course Description: The Civic Welfare Training Service (CWTS) 2 is a sequel to CWTS 2. It is designed to immerse students in activities that will arm them with the capability to contribute to the uplift of the general welfare and the quality of life for the members of the community and the enhancement of its facilities especially those that are devoted to improving the health, environment, entrepreneurship, safety, recreation and morals of the citizens. Course Description: This course is designed to give non-majors in engineering an introduction to electric circuits, semiconductor devices, and microelectronic circuits, it covers the basic principles of circuit analysis, transient analysis, AC steady-state analysis, introduction to semiconductor devices and fabrication, digital logic circuits, opamps, and A/D and D/A conversion. Course Description: This course covers principles and procedure of technical writing; attention to analyzing audience and purpose, organizing information, designing graphic aids, and writing such specialized forms as abstracts, instructions, and proposals. Course Description: The course deals with the life, works and writings of Dr. Jose Protacio Mercado Rizal. It aims to present to the students the different attribute that made him acclaimed, ” Great Malayan”. It presents the richness of Rizal’s thought and teaching which are his living legacies to the human race. The course further aims to let the students see themselves in Rizal’s life they may realize the essence of their being a Filipino and that their national consciousness be awakened and help the Philippine attain greater heights. It is within the aim of this course that these young citizens develop in themselves a perspective and horizons patterned with that of Rizal which is worth emulating. Course Description: This course is designed to offer undergraduate students an ldepth experience with various outdoor skills for individual and dual sports. Course Description: The subject of differential equations can be described as the study of equations involving derivatives. It can also be described as the study of anything that changes. The reason for this goes back to differential calculus, where one learns that the derivative of a function describes the rate of change of the function. Thus any quantity that varies can be described by an equation involving its derivative, whether the quantity is a position, velocity, temperature, population or volume. Course Description: This course introduces the students to the background, skills needed to play, officiating, rules and regulations and others, pertaining to Volleyball and Basketball. Course Description: Advance principles for the study to the other specialized and nonVon Neumann architectures, such as the Harvard system being used in selected micro controllers and digital signal processors. The distinctions between RISC and CISC processors are detailed in this course. Micro-programming, pipelining and parallel computer architectures are some of the major topics to focus for the subject. Course Description: This course provides hands-on experiments linking real-world circuits with theory learn in the lecture class. Digital Voltage-Ohm meters, Signal generators and Oscilloscopes are some of the treat measurement tools used by the students to powerful CAD tools for electronics. Course Description: The subject deals with the principles of statistics and dynamics which includes the following sub-topics introduction of statistics, resultant of force systems, equilibrium of force systems, analysis of structures, friction, force systems in space, centroid and moment of inertia. It also includes the sub-topics of dynamics, rectilinear and curvilinear translations and rotation. Course Description: This course deals with semiconductors. Its focus is on the analysis of different circuits that utilizes diodes and transistors in general. Course Description: Nilalayon ng kursong ito na maipakilala sa estudyante ang pangkalahatang saklaw ng pagtuto sa wika at komunikasyon. Nakabatay ang pananaw at prinsipyo ng kurso sa paghubog at paglinangng isang mulat na kamalayan, mula sa pag-unawa sa kalikasan ng wika at komunikasyon, hanggang sa paggamit sa mga kaalamang ito upang makabuo siya ng isang epektibong ugnayan sa kanyang kapwa at mapalawak ang kanyang pagkilalasa sarili at daigdig. Sa pamamagitan ng kursong ito, mamumulat ang estudyante na ang susi niya sa isang epektibo at dinamikong pakikipagkapwa ay nakasalalay sa kanyang masining na paglinang sa kanyang pakikinig, pagsasalita, pagbabasa, at pagsusulat. Course Description: The subject is intended for the students to perform their laboratory manuals which includes all experiments in Electrical Circuits Lab manual and simple house wiring. Course Description: The course covers programming logic formulation, complex algorithm, introduction to the object-oriented programming language. Course Description: This course deals on different materials that are being used in the electronics industry. Topics include a review of the Atomic structure and Chemical Bonds, Properties, Processing, Defects, Imperfections and us of metals, ceramics, polymers and semiconductors. IC manufacturing and assembly will also be discussed as part of the application of electronic materials. Towards the end of the course, nanotechnology will also discussed to show the future technology that will replace IC. Course Description: This subject is intended to prepare students for technical skills and operate machines particularly in the field of engineering. Thermodynamics will focus on basic principles and concepts of thermodynamics, conservation of energy, ideal gas, processes, gas cycles internal combustion engines, gas compressor, Brayton cycle and other theories that strengthens students minds in mechanical point of view. The subject aims to provide students knowledge on how to realize and apply the technical aspects in the course. Course Description: This course covers fundamental and advanced theories on data structures and algorithms based on the most common middle level language and that is C. It includes studies on the nature of data structures, their origin and features as well as limitations. It also involves study of the primitive data types as well as analysis on the different methods and techniques on how to represent, manipulate and process data in computers. Course Description: This course deals with the history and government of the Philippines that serves as the guiding charter of the present Philippine government as well as the concerned individuals embodied in it. It reveals not only the kind of leadership, the political experience, the socio-moral values and the cultural heritage that we have, but also the aspirations and details of our country. The details on the history of our country can be shown ancient to present. Course Description: An introduction to digital hardware design, Boolean algebra; combinational and sequential circuits; minimization techniques; design and build logic subsystems, such as decoder multiplexers, adders and multipliers; then algorithmic state machines are also discussed. Course Description: Computer structure and machine language: memory, CPU , I/O units, registers, data and instruction types and formats, execute cycle and timing assembly; assembly language: mnemonic operations, symbolic addresses, assembler concepts and instruction formats, data word definition, literal, location counter and error flags; addressing techniques: index and indirect, absolute, and relative addressing; macros: definition, call, parameters and expansion; file I/O; program segmentation and linkage. Course Description: Materials science and engineering structures, their properties and performance; physics of engineering materials; polymers and composites; conduction materials; basic semiconductor devices,; semiconductors processing magnetic properties of ceramics and metals; dielectric and optical properties of ceramics and polymers; deformation and fractures. Course Description: This subject is intended to prepare students for advanced mathematical operations particularly in the field of engineering. Statistics will focus on collection, presentation, tabulation, interpretation and evaluation of data and other theories that strengthens students minds as a linkage between mathematics and engineering. Probability will focus on the desired outcomes of a certain event. This subject aims to provide students knowledge on how to analyze and evaluate data leading in research and the course. Course Description: Basic principles of operation of different types of machines and their control; magnetic circuit analysis, single-phase and three-phase transformers, principles of electromechanical energy conversion, DC machines, three-phase induction motors, synchronous machines, introduction to solid-state motor controls and devices, transients and dynamics of machines, introduction to programmable logic controller (PLC), control of machine by PLC. Course Description: A subject covering the internals of general microprocessors, implementation of arithmetic algorithms, input-output peripherals, memory organizations and basic interfacing of these devices. The concepts of virtual memory systems cache implementations covered all as well. Course Description: Analysis of the effects of taxation on economic behavior; taxation and public choice; the effects of taxation on the distribution of income; theory and empirical analysis of welfare effects of taxes; optimal tax theory; issues in tax policy and tax reform. Course Description: Introduction of ASIC design techniques; design and programming of FPGAS using CAD tools timing in sequential circuits; essential hazards; races in sequential circuits; design and built FPGA project. Algorithmic state machines, design of digital sub-systems, designs of sequential circuits and multi-input system controller,introduction to programmable system controller. constructs, data structures, control and iteration and their implementation. Course Description: An introduction to the concepts of object oriented programming, their semantics and implementation using C++. It also covers the programming methodology and application development in C++. Course Description: The course deals with the life, works and writings of Dr. Jose Protacio Mercado Rizal. It aims to present to the students the different attribute that made him acclaimed,” Great Malayan”. It presents the richness of Rizal’s thought and teaching which are his living legacies to the human race. The course further aims to let the students see themselves in Rizal’s life they may realize the essence of their being a Filipino and that their national consciousness be awakened and help the Philippine attain greater heights. It is within the aim of this course that these young citizens develop in themselves a perspective and horizons patterned with that of Rizal which is worth emulating. Course Description: The field is a central learning experience in the Bachelor of Science in Computer Engineering. Students have the opportunity to apply knowledge gain from the previous academic years in the actual field under the supervision of an experienced professional and the coordinator. in the curriculum is “Industry Immersion” where a student will have to fit into a real office scenario and what he could contribute to the work place as Junior IT professional. The student works in an office/agency/institution at the best with its information systems for 320 to gain practical training in one of the varied aspects of information and computer technology. Course Description: This is the first two course devoted to the study of data communications and computer networks. The course covers the fundamentals of data communications, the issues the computer network design, and the study of how protocols facilitate the communication among the components of the network and data communication networks. Course Description: Types of operating system goals, functions and organizations; process, concurrent programming, CPU scheduling, virtual memory, disk and drum scheduling, synchronization, critical regions, semaphores, event queues, monitor concepts, message buffer and deadlock; processor management; memory management device: file management; resource protection and capability. Course Description: Design tools and techniques; top-down design, modular design, software tools, debugging and test data; software reliability, theory and concepts, errors, faults and estimations, reliability models, availability models, management techniques, cost estimation and software maintenances. Course Description: This course covers architecture, programming and interfacing to the microprocessors in general. Specific topics focuses on microprocessor-based computer system, introduction sets and itsuse applicable to a specific or group of microprocessors, I/O devices, Buss architecture, DMA and the MMX technology. Course Description: The family as a structural and functional unit in social life and organization, as a unit of social control; its status, change, and associated problems. Course Description: Study of the different methods of research in preparation of making a project proposal. Course Description: This is the second of two courses devoted to the study of data communications and computer networks. The course covers more advanced and application specific concepts of data communications. It also covers the issues in computer network design as a result of the study of the upper four levels of the ISO OSI reference model, and the study of how protocols facilitate the communications among the components of the network in the same four layers. Course Description: Design and implementation and implementation of medium off large-scale software or hardware project. The emphasis is on independent study and application. Individual or group project. Course Description: Topics offered at the graduate level, which are not covered in regular courses. Students participate in preparing and presenting discussion material. Course Description: The course extends the concepts learned in microprocessor system 1, in the area of support chips for microprocessor-based computers. Interrupt control, timing bit and parallel interfacing, direct-memory of micro electronics devices and design of integrated circuits. Course Description: The course presents the functions of the Engineer; decision making; concepts of Management namely: Planning, Organizing, Directing, and Controlling the different Management skills and functions. Information Technology drives progress, productivity and profit and a strategic factor gaining competitive advantage. Major applications of IT is the computerization of systems to facilitate human activities in a “paperless” society. BSIT graduates has knowledge of software and how Information Systems are installed, managed and administered. Major subjects are Distributed Database Systems, System Programming, Documentation and Software Testing, Systems Analysis and Design. Graduates will compete successfully in the emerging global marketplace. The BSIT course aims to equip students with one or more of the practical knowledge of how Information Systems (IS) are installed, operationalized, managed and administered. Course Description: In this course the students is exposed to beginning instruction and practice in their skills in developing their skills in typing and learn the different DOS commands and equip them with the skills and knowledge to successfully use Microsoft Office such as MS Word, MS Excel, MS Power Point and simple database application. Course Description: Computer system, problem-solving procedures, algorithms and controls structures, data types, vectors, array and record and string manipulation. C programming concepts, variables, operators, and expressions statements, functions, array and pointer, structure, processor. Course Description: This course covers operation of the computer keyboard and developing basic keyboarding techniques required to develop speed and accuracy on straight copy. Instruction will include the alphabetic keys, numeric keys, and special symbol keys, as well as basic word processing features, including creating and printing a document. Course Description: The Civic Welfare Training Service (CWTS) is a component of the National Service Training Program (NSTP) is a course for first year students both males and females designed to help them understand, appreciate and eventually live by the basic concepts of the Student’s Transformation and Enrichment for Truth (STET) with the end in view of empowering them into becoming a potent resource for community development. Course Description: This course will train students in the use of popular productivity software tools such as word processors, spreadsheets, presentation/graphics, software, project management programs, accounting programs and the like. Course Description: An introduction to the concepts of object oriented programming their semantics and implementation using C++. It also covers the programming methodology application development in C++. Course Description: This workshop provides an in-depth use of the ANSI C programming language. Guidelines on structured programming methodology and tips on coding style will be enumerated throughout the workshop. Emphasis will be placed upon use of advanced I/O routines, functions, pointer operations, dynamic data structure and memory allocation techniques. In the lab sessions, participants work through several hands-on exercises and develop small projects that reinforce the topics discussed. Course Description: This subject presents an in-depth exposure to computer hardware and operating systems. Students learn the functionality of hardware and software components as well as suggested best practices in maintenance, and safety issues. Through hands on activities and labs, students learn how to assemble and configure a computer, install operating systems and software, and troubleshoot hardware and software problems. In addition, an introduction to networking is included. Course Description: Internet and Multimedia System is designed to study and use basic Internet technologies such as telnet, group communication tools, FTP, and the World Wide Web. And also utilizing other Internet applications such as email, newsgroups, and gopher for class projects and communication. Students will design and build their own web pages as part of a final project, incorporating basic HTML and multimedia types such as animation, audio and video. Students will also learn about the various types of multimedia applications and how to construct effective interactive multimedia messages. Course Description: This covers fundamental concepts of plane trigonometry and of plane analytic geometry. Trig functions, trig identities, solving triangles, analytic geometric proofs, conics, parametric equations. Course Description: The course helps students learn how to prepare and analyze financial statements, and understand the role that accounting plays in business decisions. Topics include: stock and bond investments, cash flow reporting, financial statement analysis techniques, and manufacturing and cost accounting issues. Course Description: This course covers introduction to graphical user interface (GUI), event driven programming and Windows onscreen objects such as command buttons, textboxes, option buttons, and graphics. Programming projects will require students to design interactive screens as well as code subroutines to implement programs. Course Description: This course covers logic, discrete probability, recurrence relations, Boolean algebra, sets, relations, counting, functions, maps, Big-O notation, proof techniques including induction, and proof by contradiction.This course introduces the foundations of discrete mathematics as they apply to information technology. Topics include functions, relations and sets, basic logic, proof techniques, basics of counting and introduction to digital logic and digital systems. Course Description: Ang kursong Filipi2 ay nagbibigay-focus sa pagbabasa at pagsulat sa mga pangangailangang akademik at instrumento sa pagkatuto. Pag-aaralan angmga estratehiya sa kritikal na pagbasa ng iba’t ibang genre ng nakasulat (maging naririnig) na textong pang-agham pantao. Ang pagsulat ukol sa mga paksang akademik, gayundin para sa komunkasyong pampropesyonal ay malaking bahagi ng tasks. Course Description: This course is designed to offer undergraduate students an Idepth experience with various outdoor skills for individual and dual sports. Course Description: An in-depth study of the theoretical foundations of quality management along with applications of the quantitative and qualitative tools used in improving organizational quality and productivity. Coverage will include the principles promoted by major quality experts and a review of the requirements for corporate quality certification. Course Description: This course is designed to give non-majors in engineering an introduction to electric circuits, semiconductor devices, and microelectronic circuits. it covers the basic principles of circuit analysis, transient analysis, AC steady-state analysis, introduction to semiconductor devices and fabrication, digital logic circuits, opamps, and A/D and D/A conversion. UNITS: 2/1Course Description: This course covers the Standard Query Language, the SQL BASIC AND SQL ADVANCE. It includes the creation of tables using the Microsoft Access and the same time creation with the same time creation with the SQL Statements. It covers also the introduction to the E-R Model for the better understanding what are the different meta data that is included in the creation of database, together with the equivalent terminology between Microsoft Access and E-R model. Course Description: This course aims to help students understand ways in which literature and the fine arts can deepen their sense of what it means to be human. The course gives students practice-appreciating masterpieces of painting, sculpture, architecture, music, poetry, prose narrative, theater, dance, and film. Course Description: Provides students with the fundamental knowledge to install, configure, troubleshoot, and manage a network operating system, such as Microsoft Windows 2000 Advance Server and Professional, both in a peer-to-peer and clientserver environment. Students implement and gain a deeper understanding of the client and server environments and reinforce their understandings of basic network protocols, technology, and terminology. This course introduces the concept of data communication and computer networking. Detailed discussion is based on the 7-layers of the OSI reference models. Course Description: This course is devoted to the study if the concepts that underlie Operating Systems – a field that is undergoing a change at breathtakingly rapid rate. The fundamental concepts and algorithm covered in this course are based on those used in existing commercial operating system. Course Description: Fundamentals of probability; discrete and continuous random variables; expected value; variance; joint, marginal, and conditional distributions; conditional expectations; applications, simulations; central limit theorem, order statistics. Course Description: This course aims to clearly define the roles and purposes of a systems analyst in the growing field of data processing and thus shape students to becoming qualified entrants to the field of system analysis. To achieve major objective, this course is defined to clearly explain system design tools, system development life cycles and problems, analysis, detailed database design, and cost- benefit analysis. Course Description: This course covers the Standard Query Language, the SQL BASIC AND SQL ADVANCE. It includes the creation of tables using the Microsoft Access and the same time creation with the same time creation with the SQL Statements. It covers also the introduction to the E-R Model for the better understanding what are the different meta data that is included in the creation of database, together with the equivalent terminology between Microsoft Access and E-R model. Course Description: Provides a current and futuristic view of decision support data repositories, with several examples where data warehousing has made a significant difference. Each phase of the data warehousing process will be discussed, from understanding the business (government or industry) requirement, through design, implementation, and sustainment. Special topics will be discussed, such as the use of data mining and multimedia data warehousing. Very basic understanding of file and database terms/concepts would be useful, but not required. Course Description: The course deals with the life, works and writings of Dr. Jose Protacio Mercado Rizal. It aims to present to the students the different attribute that made him acclaimed, “ Great Malayan”. It presents the richness of Rizal’s thought and teaching which are his living legacies to the human race. The course further aims to let the students see themselves in Rizal’s life they may realize the essence of their being a Filipino and that their national consciousness be awakened and help the Philippine attain greater heights. It is within the aim of this course that these young citizens develop in themselves a perspective and horizons patterned with that of Rizal which is worth emulating. Course Description: Study of literary forms or genres as exemplified by selected literary texts from various regions of the Philippines written at different periods in Philippine literary history. Course Description: Web Development is a hands-on course that takes students through the development of complete web sites. Students build web sites using HTML, Dreamweaver and Flash incorporating planning, layout, design, and testing skills. Sites are published to the Internet during the course. Students also learn how to use Adobe Photoshop and ImageReady to create, edit, and optimize images for the World Wide Web. This course covers various web design concepts and techniques that will allow students to design, build and create effective, interactive and dynamic web applications. Course Description: The E-Commerce Strategy and Practices course teaches students how to conduct business on-line and how to manage the technological issues associated with constructing an electronic-commerce Web site. Students will implement a genuine transaction-enabled business-to-consumer Web site, examine strategies and products available for building electronic-commerce sites, examine how such sites are managed, and explore how they can complement an existing business infrastructure. Students get hands-on experience implementing the technology to engage cardholders, merchants, issuers, payment gateways and other parties in electronic transactions. Course Description: This is an introduction to psychology course. This course is designed to provide an overview of the field of psychology and human behavior. Topics include: philosophical perspectives, history, biology, learning, personality, behavioral biology, development, motivation, emotion, abnormal behavior, theories, and therapies. Course Description: The continued study of literary forms or genres, exemplified this time by selected literary texts forms various countries, written during different historical periods. Course Description: This course focuses on issues of professionalism that affect information professionals in their everyday work environment. Broad topical areas, which will covered include professional ethics, standards of practice and professional competencies. The course will look at social trends to consider how they have an impact on “generally accepted practices” among professionals. We will also consider demographic indicators, business climate, and legal and regulatory proscription. Course Description: This course covers the various software engineering techniques, methods and tools, which can be used in the implementation of strategic systems development. It also covers project planning, software requirements, design concepts and principles, implementation, testing, delivery and maintenance. Course Description: This course introduces a new programming environment to the students. It covers OOP concepts and implementation, language basics and common Java Applets. It also covers GUI programming and Applets. Course Description: The capstone project/research course allows students to apply the knowledge and skills acquired in their courses to their school or district environment. This project is completely individualized; students are encouraged to select projects that are of particular interest to them and that will result in professional growth and benefit their school or district. Capstone course which focuses on the analysis of marketing opportunities, development of marketing strategies, shaping of marketing offerings, and the management and delivery of marketing programs. This course covers the principles and theories of technoprenuership. Students are expected to develop and implement a feasible IT business plan. Course Description: This course equips the students with fundamental concepts and techniques of expert systems. Skills in utilizing expert system shells to design expert systems for business related application are also practiced. This course covers topics of expert systems methodology including knowledge engineering, knowledge representation, inference, conflict, resolution, languages, and tools. Course Description: The field practicum is a central learning experience in the Bachelor of Science in Information Management. Students have the opportunity to apply knowledge gain from the previous academic years in the actual field under the supervision of an experienced professional and the practicum coordinator. Practicum in the curriculum is “Industry Immersion” where a student will have to fit into a real office scenario and what he could contribute to the work place as Junior IT professional. The student works in an office/agency/institution at the best with its information systems for 320 to gain practical training in one of the varied aspects of information and computer technology.